Is anyone else here like me and hopelessly in love with baskets and containers around the house? I feel like I can never get organized without handy, dandy baskets! 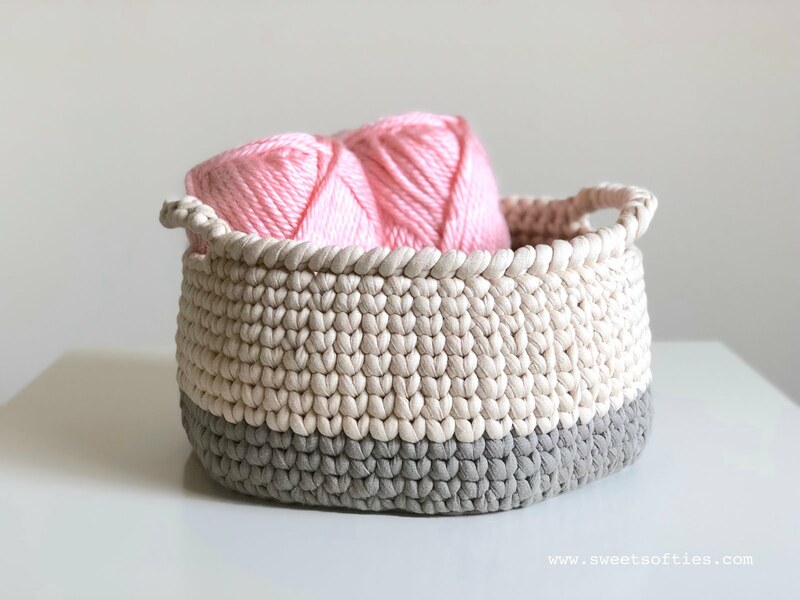 I really love larger baskets, and guess what -- they're a breeze to make with big yarn and big hooks! Recently, I found these two skeins of JUMBO yarn at my local craft store. They're from Yarnspiration's Bernat Maker Big line of yarns, and they feel amazingly soft with MUCH squish! It's my first time working with chunky tubular yarn, which is cotton on the outside and nylon on the inside. Due to the size of it (weight 7 means it's JUMBO! ), this yarn stitches up quickly. 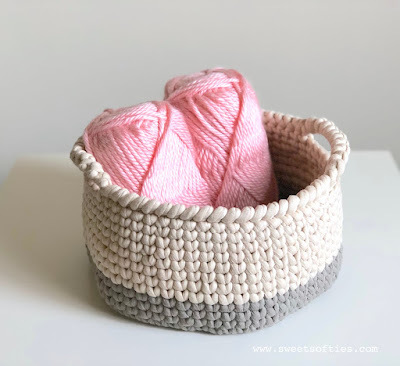 Thankfully, it's machine washable for easy care, and for the sake of this basket, I used up nearly two complete skeins (one in the color "smoke" on the left, and the other in the color "ivory" on the right)! If you'd like to make one of these baskets for yourself, please check out my pattern below! I recommend using this jumbo yarn for a big, extra-large basket, but if this pattern definitely works with smaller yarns and hooks as well! 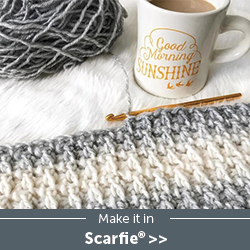 If you don't have such thick yarns but would like to have a big basket, it's easy to modify this pattern by increasing the number of rounds in the base and for the height of the basket, OR by holding multiple strands of thinner yarn together to create a "thick" yarn to work with. The Knit Stitch Basket pattern provides easy instructions for crocheting a simple, chic, and functional basket featuring the "knit stitch"! This basket is relatively quick to work up, yet maintains a lovely look. While it is a beginner-friendly crochet pattern with video tutorials and photo references, there are many ways to customize it to give it a unique and special look! 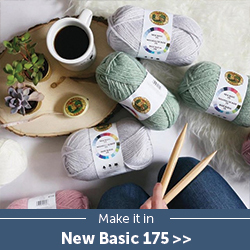 For example, play with different yarn colors, or add embellishments (e.g., buttons, flowers, bows) to make it the perfect, personalized item for your home or as a gift to a cherished one! The pattern is written for the entire basket to be worked in joined rounds for an even look. However, you are welcome to work in a continuous spiral if you do not want to join your rounds. 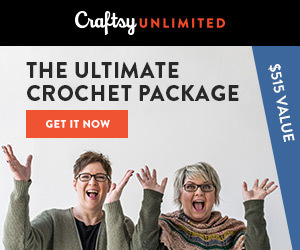 The brim of the basket is done in the 'reverse single crochet' stitch. Start with the bottom yarn color (smoke). Continue in the bottom yarn color (smoke). Change to top yarn color (ivory). R22: Ch 1, ks 10, ch 12 and skip 10 sts. Ks 20. Ch 12 and skip 10 sts. Ks 10. *Join. Ch 12 for the first handle. After skipping 10 stitches, insert hook into the next stitch. 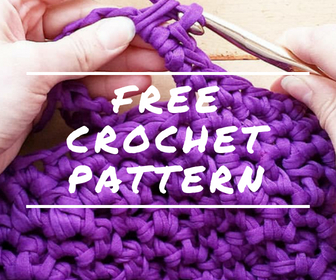 Make a single crochet, and continue with the pattern. 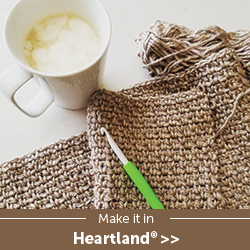 R23: In this round, you will reverse the direction with a 'reverse single crochet' or rsc. Ch 1. Rsc 10. Rsc 12 in the chain-12 gap. Rsc 20. Rsc 12 in the ch-12 gap. Rsc 10. I used nearly 2 full skeins of Bernat Maker Big to make this basket. These two little bits were the remaining yarn I had left! 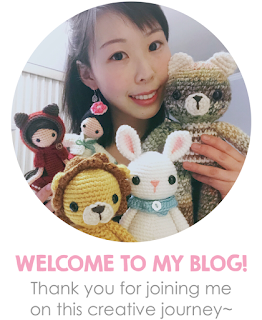 Congratulations on finishing the "Knit Stitch Basket" pattern! 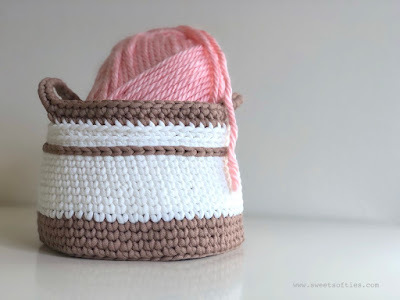 For those who are interested in adding personal details or embellishments to this basket, here are some ideas! You can sew on embellishments or appliques, such as buttons, bows, crocheted flowers, or more. Use your creativity to make your basket unique! Then, fill it up with whatever you'd like! 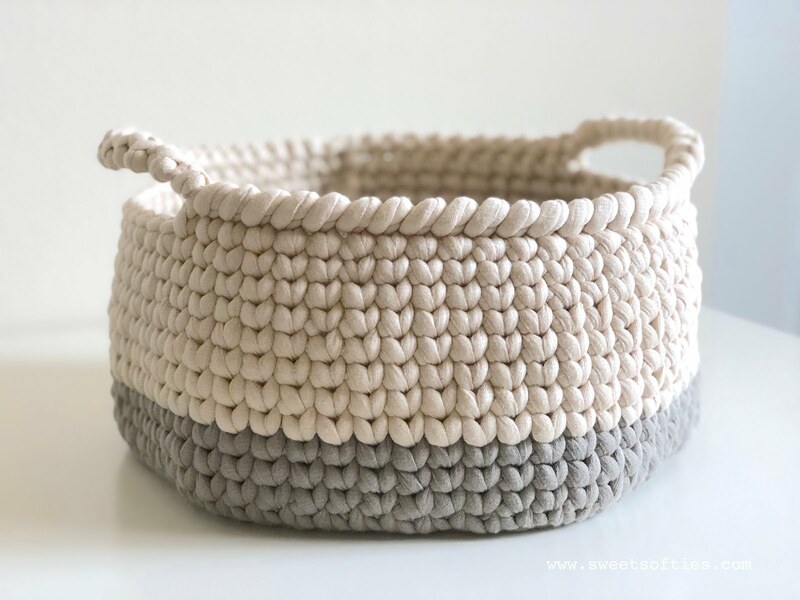 Update: If you'd like to try out the Textured Basket (free crochet pattern), click on the image below to navigate to the pattern page! Why does my basket look like yours only if i invert it. Prettier design knit stitch V. IS ON INSIDE?? ?